NEW DELHI: Former Pakistan speedster Shoaib Akhtar has revealed that bowling legendary cricketer Sachin Tendulkar out for a duck at Kolkata’s Eden Gardens remains amongst the best memories of his glittering cricket career. One of the most watched and talked about cricket rivalry in the world throughout the 2000s was between India’s batting maestro Tendulkar and Pakistan’s fiery speedster Akhtar. It was in 1999 when the `Rawalpindi Express` bowled out` Tendulkar for a golden duck in his maiden outing in Test in India at Eden Gardens. Tendulkar, who was at his peak at that time, was cleaned bowled by Akhtar on the very first ball. 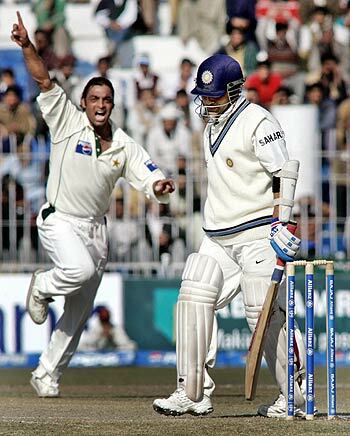 The former Pakistan pacer had also dismissed Rahul Dravid on the previous ball. Recalling what he describes as the ‘best feeling ever’, Akhtar said, ‘Getting Tendulkar out for duck in India, that feeling is just unmatched, especially in front of their crowd.’ Akhtar also recalled his meeting with West Indian legend Sir Viv Richards. The 41-year-old said that he had asked Richards what it would be like if he bowled to him. ‘I asked the great Sir Viv Richards, ‘would you be scared if I bowled to you’’ He said, ‘of course I’d be scared, I’d be dead scared,’ recalled Akhtar. Meanwhile, Akhtar picked `Swing ka Sultan` Wasim Akram as one the best captains he has played under before adding he also wanted to play under the leadership of Imran Khan. 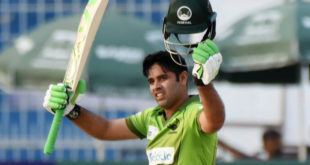 ‘It would also have been great if I could have played during Imran Khan’s era,’ he added.